Repairs you need. Reviews you trust. 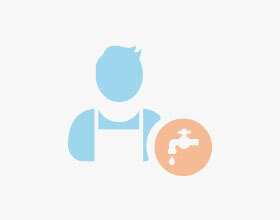 Select keywords to find your plumbing professional. Made an appointment for Saturday which they asked to move to Monday morning. Took time off of work. Confirmed the night before. They no showed. Provided no explanation or callback. Great job! Thank you guys! Took care of my plumbing issues in a timely and professional manner, would definitely recommend Andrew and his team. Came here looking for a specific part for an American Standard faucet. The staff spent about 20 minutes trying to order it for me because it was not a stock item. Also tried finding a solution using parts they did keep on hand. Very friendly and knowledgeable! Had trouble with double kitchen drain. Water was flowing down very slow and needed someone specialized to come in. Public Plumbing & Drains responded promptly and although this was a very small job dealt with us with highest standards. Very pleased! Thank you guys! By far the most honest and best plumbers I’ve called to fix my toilet, gave me professional advice — it didnt feel like they would try to scam me for additional services and fees. I will only call them for service from now on. Thank you! Dayton Plumbing was fantastic. They were very customer service oriented, and very accommodating of my schedule. They saw me the day I phoned them, were very friendly both on phone and in person, and did the job well and promptly. Thank you! Josh is responsive, conscientious and rates are reasonable. Highly recommended. They, have everything plumbing, not just for contractors either :+) they also fully support the DIY'er. In fact if the clerk's don't 'know what you mean' they invite you into their vast warehouse to see yourself. Also as a side note, I like their staffing and HR, it's nice to see both sexes and many cultures represented in the trades! Triple A+++ in my books. Cheers and thanks. D. .
Had a leaky faucet...Hoerner responded immediately sent plumber Dave Richardson. Dave had cartridges to fit in his van...even though the faucets were a different brand and 19 years old. While the cartridges fit the screws for handles did not...he sourced them and returned within an hour to complete the job!! Dave was friendly and very professional. I highly recommend Dave and Hoerner Plumbing and Heating! !